Although a native to West Virginia, Matthew Ralsten, MD, is no stranger to the Atlanta metropolitan area. He first completed his undergraduate education at the Georgia Institute of Technology before returning to his home state for medical school at Marshall University School of Medicine in Huntington. Dr. Ralsten went on to complete his internship at West Virginia University, where he was recognized as an outstanding teaching resident. He finished his full residency at the Mountain Area Health Education Center, a University of North Carolina at Chapel Hill community program. Dr. Ralsten then returned to Georgia, and in 2006, he became a founding member of The Women’s Specialists of Fayette. 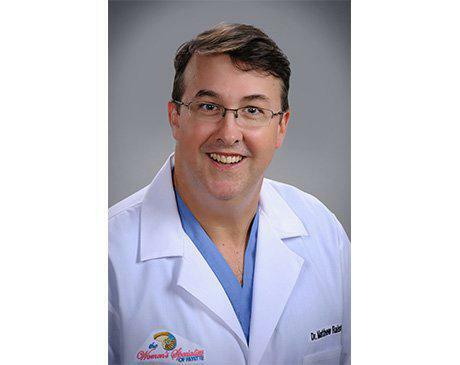 Dr. Ralsten is board-certified in OB/GYN medicine by the American Board of Obstetrics and Gynecology. Today, he provides full-service obstetrics and gynecology for women of all ages. In his practice, Dr. Ralsten focuses on delivering high-quality, patient-centered care. His special interests include high-risk obstetrics, infertility, and reproductive endocrinology. He also specializes in minimally invasive surgical techniques, including single-site laparoscopic hysterectomies. Dr. Ralsten continually works to help his patients find cutting-edge solutions for all their gynecological problems. When he isn't assisting patients, Dr. Ralsten enjoys spending time with his wife Tammy and their twins, Helen Claire and Murrill.